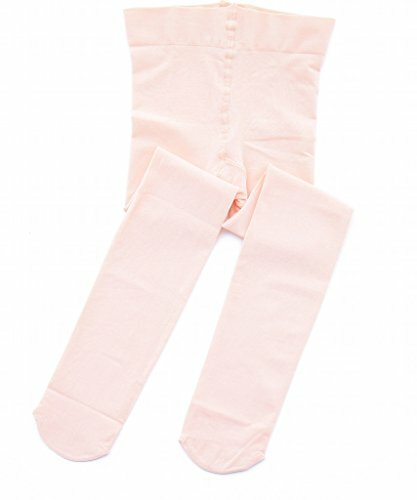 STELLE Girls' Ultra Soft Pro Dance Tight/Ballet Footed Tight (Toddler/Little Kid/Big Kid)(XS, Ballet Pink) | What Should I Say? Our footed tight is one of our most popular style. It is a nylon and spandex blend, which provides superb smooth fit and exceptional stretch. It is great basic tight for all dance practice and performances. The light ballet pink is very subtle, and is perfect for most dance classes and on stage. It can also be used as daily tight, providing opaque coverage. Size: There are 4 sizes (XS, S, M,L) available.